Data analytics has become an indispensable part of the business world. Look all around and you will realise that everything is already data-driven. A bigger pool of organisations is moving towards executing this practice in their premises also. However, as per a 2016 report from Gartner, it was discovered that lone 15 per cent of the aggregate businesses who attempt to execute data analytics, win the battle and the rest stall out in the pilot phase of the venture. After running a background check on this problem, it was understood that there is a set of common issues that every one of the firms is confronting. In this article, you will discover the 7 most regular concerns upsetting the execution of data analytics ventures and the approaches to effectively resolve them. The first and foremost challenge faced by the companies implementing data analytics is associated with data storage and analysis. Higher traffic websites such as the New York Times and Amazon may generate a petabyte data or more in a single month. IDC in its Digital Universe reported estimated that the information stored in the IT systems of the world is doubling in every two years. By the year 2020, the amount would increase to an extent that it would be enough to fill a pile of tablets that will reach the moon from the earth around 6.6 times. In such a scenario, it turns out to be critical to quickly analyse the generated data and derive useful insights which the companies have been looking for. Another major issue with all this immense data is that a major chunk of it is in the unstructured form. Documents, videos, audios, photos are comparatively difficult to search, analyse and occupy a lot of space. As estimated in an IDG report managing unstructured data is a growing challenge – increasing from 31 per cent in 2015 to 45 per cent in 2016. To deal with these data problems, organizations are turning to various types of technologies. Technologies like tiering, compression and deduplication are being utilized to reduce the amount of space required to store the data. To manage the analysis part, firms use tools like Hadoop, NoSQL databases, Spark, BI applications, big data analytics software, ML, AI to dig out the insights that they want. All these goals when achieved help businesses gain an edge over others in the market. However, the success of which usually depends on how quickly are the generated insights being acted upon. In case, the action time is less the data and insights tend to lose their value in the market. In order to achieve faster speed, some of the companies are looking forward to using new generation analytics tools and at the same time invest in real-time analytics that will dramatically reduce the time taken to generate reports. Since data analytics is comparatively new and is being practised in its full-fledged form starting recently. Not many people are well aware of its implementation and therefore lack its understanding. 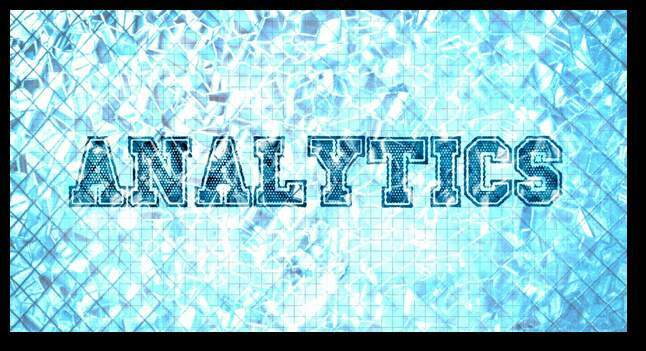 Data analytics has the ability to bring in precise and accurate decisions for the organizations that tend to use it. Helping them in managing their finances, launching new products, understanding their customers and much more. However, there is still a lot that needs to be done so that people have a clear picture of data analytics and its importance in today’s world. Seminars, small workshops in the office premises, discussions, and real-life examples are some of the ways that organizations are using to improve the understanding of data analytics among their staff. Organizations find it a challenging task to both retain and recruit talent that can handle their data and utilize it to derive the useful insights. The 2017’s Robert Half Technology Salary Guide has suggested huge pay raise for the positions of data scientists and business analysts all over the globe. Companies are also trying to train their staff to learn some of the tools and techniques that can help them handle their data needs. But, still there is a large gap in the understanding of this upcoming field and people have started to gander at it as a lucrative career option. Also, there are many firms that solely deal with data analytics and all the related operations. In case, the organizations are unable to find a suitable recruit for their firm, they can consult the professionals and get their data needs satisfied. These data analytics firms have all the expertise that is required to accomplish the given task. Also, as an added advantage, outsourcing the work to another firm proves to be more economical than setting up a whole new section in an already established company. With the generation of a large amount of information, data governance is a growing concern for the institutions. Usually, the firms set up a group of people to set data governance policies for their enterprise. The main aim of this group is to validate the data and accept its most alleged form. To understand this better we can take the help of an example. A patient’s address on a hospital record and on the record of a pharmacy from where he recently purchased some medicine is different. Now, this would create a confusion as we’ll have to find a way to find out which is the correct address and remove the disparity arising in storing the data. This act can be called as data validation and is a challenge faced by many data-driven companies. Data redundancy needs to be managed and for that maybe some machine learning algorithms or artificial intelligence based technologies can be developed. When there are less number of people who know about a particular field, it becomes very difficult for an organisation to start implementing it. In a firm, there may be a number of people who will doubt the efficiency of data analytics and refer to it as a huge waste of money, time and labour. In such scenarios, it becomes difficult for the owners to take a timely decision and make data analytics an integral part of their firm. However, there is a simple methodology that can be applied to resolve this issue. Every firm can appoint a chief data officer who will only supervise the working of this new department and report on the issues and its progress. This will not affect the ongoing hierarchy in the company meanwhile giving time for the new field to flourish and offer its best results. Data Science is capable of much more than what it is today, but there are few deterrents that it has to cross before reaching to its full potential. Once people will understand its importance and how it can make their business profitable and lives simpler, the integration will be friction-free. If you are among those looking forward to giving your business a boost, implementing data analytics could be the path to walk. Consult experts who can enlighten you on the decisions that would change the way you do your business. Like DataToBiz, who offer a platter of premium insights that you might just need, partnering for data science is the call of the future. Right from understanding your issue to modelling it into a data analytics problem and then resolving to offer the optimum results is their niche. Know more about DataToBiz services.